It’s been a crazy past few days for Overwatch with the recent development on PTR. Hold on to your CD Keys because Ana Amari, Aka. Granny, mother of our beloved Justice-raining babe, Pharah, has been revealed and is playable in the Public Test Region. But that’s not all! 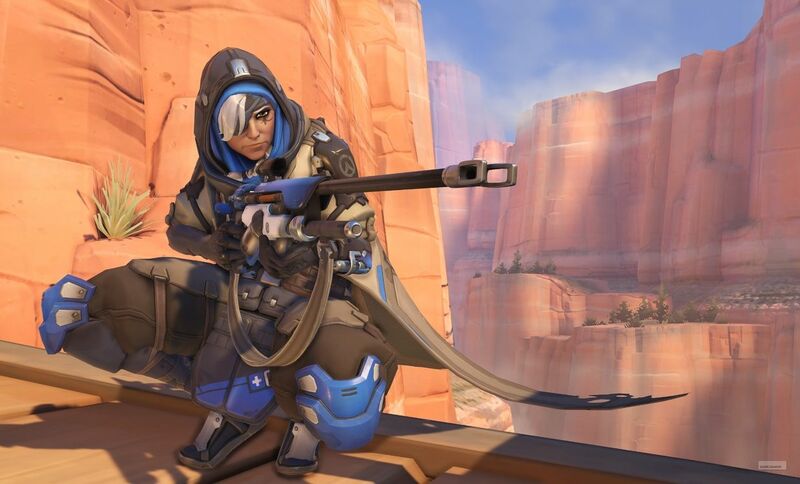 It’s an exciting time for Overwatch game keys owners as we are also seeing a lot of balance changes with the already existing heroes. There are a ton of them, but the most significant and prevalent are those heroes that have the possibility of affecting the meta of pro play. Specifically, D.Va, Zenyatta, Mercy, McCree, and Soldier 76 have received some very significant changes that will most definitely affect standard play. Of course, these changes can be altered at any time before going live in its public build, but we can already see where Blizzard plans for Overwatch. Indirectly, Blizzard is going with what the popular opinion is (of course, balanced with their own internal logic) and can be obviously seen that they’re listening to the community. Good guy, Blizzard. But perhaps the biggest surprise of this planned patch was the announcement that Competitive mode will FINALLY have a 1 hero limit. Yes, folks, it’s finally happening; what seemed to be a fever dream especially when Blizzard once commented that they were not straying away from hero stacking is now coming true. This is a huge and significant milestone in the longevity and lifespan of Overwatch as an e-sport. Many independent tourney circuits have implemented the 1 hero limit on their own accord, but some have still stuck with the hero stacking including, of course, Blizzard’s own officially sanctioned tournaments. While the matches were still fantastic to watch, some of them drew towards absurdity as abuses of Tracer and D.Va switching occurred left and right to contest Overtimes that resulted in absurdly long matches. This put a huge dent in the spectator side of Overwatch and a logistical nightmare for tournament organizers with some noting that entire planned events became 4 hours longer than expected. At any rate, this is a fantastic patch that’s helping out in the esports side of things as well as keeping the game fresher than it already is. This is a really great time to pick up some Overwatch CD keys and try out the game for yourself. It’s already quite a balanced game and getting even more so with every patch. See in the next part for a breakdown of the buffs and nerfs apart from the video above.